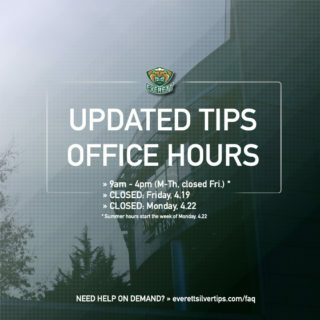 EVERETT, Wash. – The Everett Silvertips (@WHLSilvertips), six time and 2017-18 U.S. Division champions, announced today that the San Jose Sharks have signed forward Matt Fonteyne to an American Hockey League contract with the San Jose Barracuda. Terms of the deal were not disclosed. 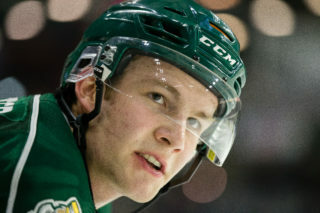 Fonteyne, 20, was named the Silvertips Unsung Hero, F.I.E.R.C.E. Predator award winner, and co-recipient of the Silvertips Iron Man and Community Relations awards this season while reaching career highs in points (88), goals (35), power play goals (16), game winning goals (4), and assists (53) in all 72 games. He has been a part of three Silvertips teams that have captured the U.S. Division title in the last four seasons. 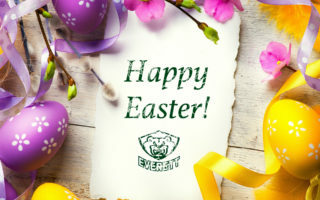 Currently, Fonteyne is second on the Silvertips for playoff points (11) and tied for the club lead in assists (7) through seven games in the 2018 WHL Playoffs. Heading into the WHL Playoffs, the native of Wetaskiwin, Alberta is third on the Silvertips all-time list in games played (340), fourth in assists (129), and fifth in goals (209), spending his entire WHL career in a Silvertips sweater. Originally named co-captain at the start of the 2017-18 season, he earned WHL On The Run Player of the Week honors on Jan. 22 when he strung 10 points (3G-7A) and a plus-six rating in three games for the week ending Jan. 21. During the week in a victory over Tri-City, he tied a Silvertips single game record with five assists, shared with Peter Mueller (Nov. 25, 2006 vs. Tri-City). 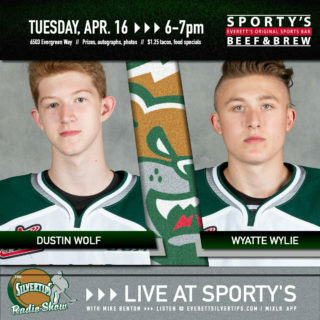 Originally selected by the Silvertips in the third round (66th overall) in the 2012 WHL Draft, Fonteyne will continue suiting up for the Silvertips in the WHL Playoffs. The Tips will face the Portland Winterhawks for Game 3 on Tuesday in round two, 7:00 p.m. (1380 AM / FM 95.3 / Tips App / WHL Live) at Veterans Memorial Coliseum in Portland. 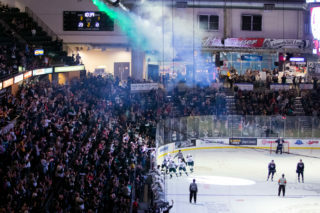 Playoff tickets for Game 5, in Everett on Friday at 7:35 p.m., are available at www.everettsilvertips.com/playoffs.